Dr. Jack Miyamoto’s vast experience in community college leadership and administration and his personal commitment to fairness and transparency are well known throughout the state of California. 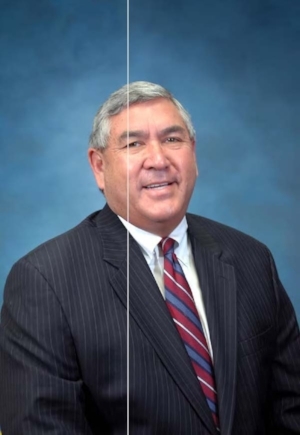 Having spent 33 years in the California Community College system, Dr. Miyamoto served the last 18 years of his career as an Interim Chancellor, Vice Chancellor or Vice President of Human Resources and Chief Negotiator for three different community college districts. Since his official retirement from Palomar College in 2004, Dr. Miyamoto has been actively providing HR consulting services for various community colleges in Southern California. His Human Resources experience includes participation in a number of classification and compensation studies, long-range staffing plans, accreditation reports, as well as writing human resource policies and administrative procedures. He is known for his decisiveness and fairness in reaching solutions that best serve the institution as well as the affected employees. He also served as the President of the Association of California Community College Administrators in 2001. During his many years of active service with ACCCA, he served in various leadership capacities, participated in the inaugural Community College Administration Leadership 101 Program, and served as a mentor to those beginning their careers in Human Resources. He also represented the State’s Community College Chief Human Resources Officers on the State Chancellor’s Office Consultation Council. Dr. Miyamoto earned a Bachelor of Arts degree from the University of Northern Colorado, a Master’s Degree from San Jose State University, and a Doctorate in Educational Administration from United States International University.